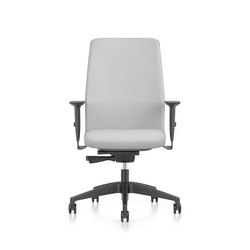 With the PUREis3, the German office furniture manufacturer INTERSTUHL is launching an uncomplicated office chair for today's office: flexible in use in almost all office situations, easily adaptable to individual seating preferences and - thanks to a specially developed app - promotes active sitting. There is no doubt: the office as we know it is changing, becoming more open and versatile. Traditional static, immutable structures are giving way to modular units that can be easily altered. 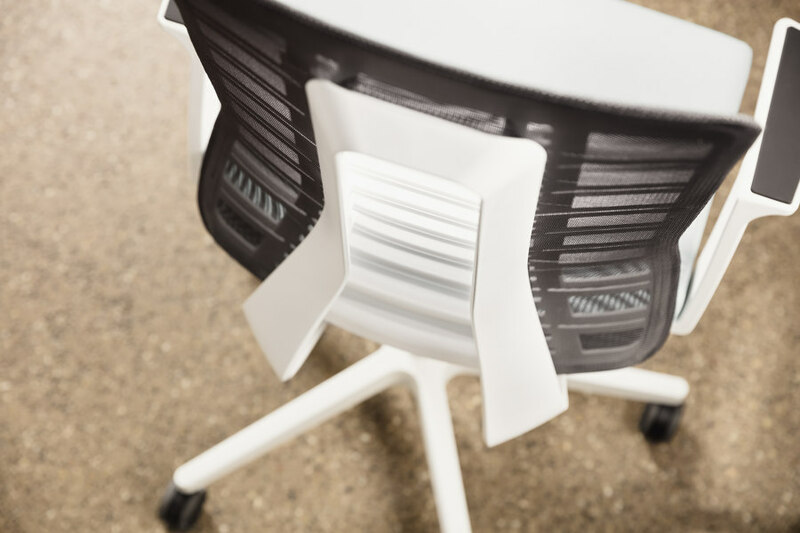 The architects who are shaping this transformation, therefore, have a concrete need for office furniture that can be used flexibly – well into the future. 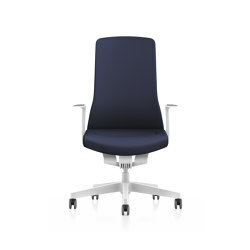 PUREis3, from Interstuhl, is a new office chair that responds to precisely these requirements. 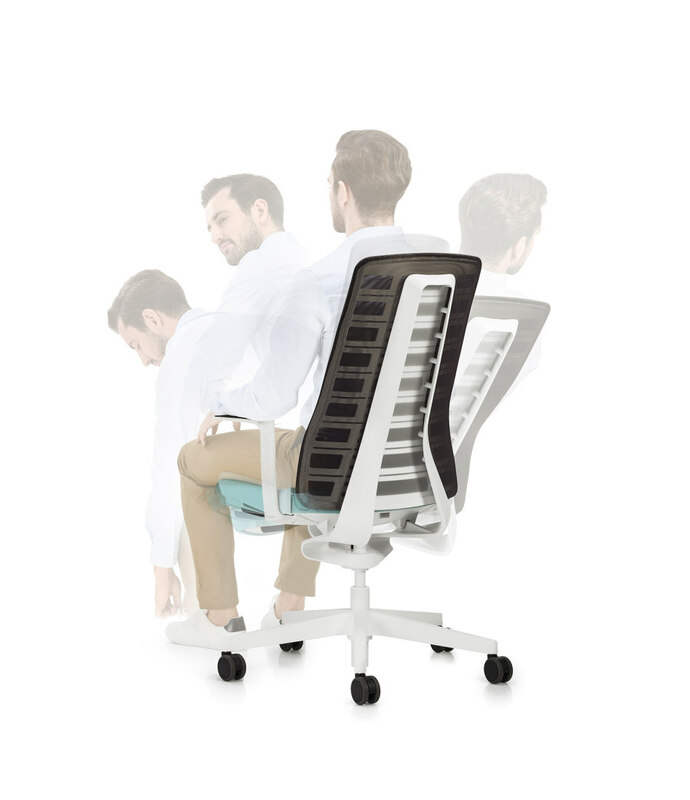 Its decisive advantage is its triple flexibility: it can be instantly adjusted to the individual needs of successive users throughout the workday; its design allows adaptation to widely varying office interiors; and its technical construction is fully geared to active sitting. Versatility, adaptability and health – these aspects are of central importance to architects and those who make decisions about office furnishings today. 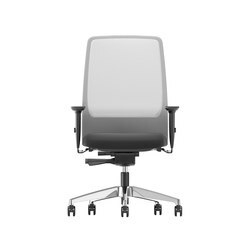 In some five years of design work, he and Brüske collaborated with the Interstuhl team to conceive a product that fulfilled the maxim ‘reduce to the max’. 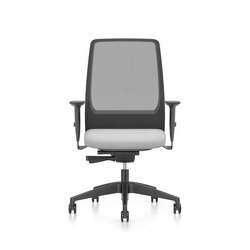 A clear design concept governs the colour selection as well: either black or white can be chosen for the chair’s body, including the ‘Smart Spring’ element, while a defined colour range is available for the mesh or upholstered coverings. What is so astonishing about PUREis3 is its clever and strikingly simple construction. Many office chairs bring to mind a complex piece of sports equipment requiring laborious set-up by means of levers, knobs and buttons which – like those on a ghetto blaster – are designed to impress yet have little real functional effect. Not so with PUREis3, in which the user just sits down and feels at ease. Its key component, the Smart Spring back element, isn’t composed of multiple individual parts, but consists of a single part and a single material, namely glass fibre-reinforced polyamide. 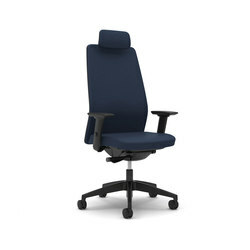 In the version with a translucent textile cover, the aesthetic quality of the Smart Spring structure is evident: a succession of parallel cut-outs, sized in accordance with the contour of the backrest, not only afford the desired flexibility but also facilitate air circulation and help to reduce the overall weight of the chair. 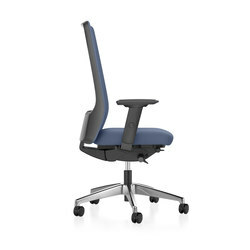 And a lighter office chair is more likely to encourage the sitter to leave his or her table and move with the chair to join others for informal meetings. 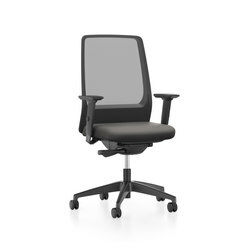 Different chair models for the workstation and the conference table are no longer necessary, as PUREis3 cuts a fine figure in both settings. But the PUREis3 development team wanted to know just what physical effect the high flexibility of the Smart Spring technology has on the sitter, especially on their spine. Interstuhl works with the Fraunhofer Institute for Industrial Engineering in Stuttgart and the Department of Sports Medicine at the University of Tübingen to gain scientifically founded knowledge on the health aspects of its products. As its third sparring partner in the design development, the company took on board the ETH Zürich, which it commissioned to carry out a biomechanical assessment. 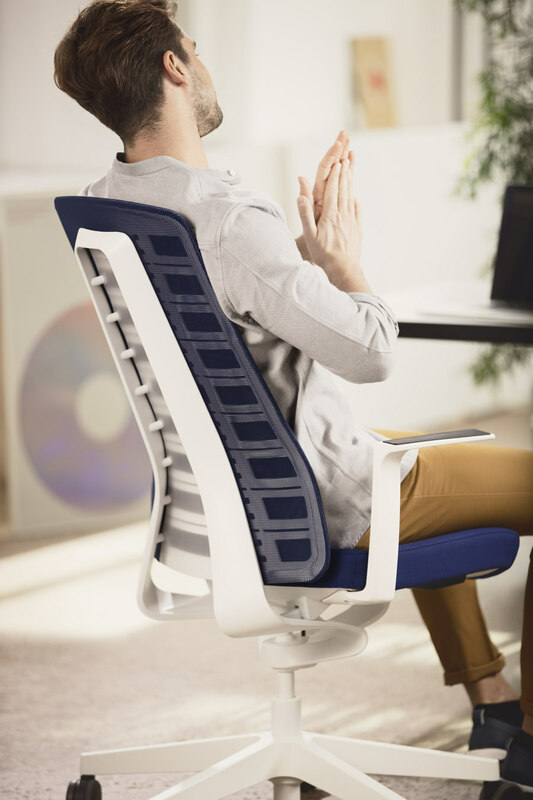 This showed that PUREis3 has a material flexibility of up to 22 degrees per side in the upper backrest, an opening angle of up to 38 degrees in the backrest element and a lateral movement range of up to 26 degrees in the seat. 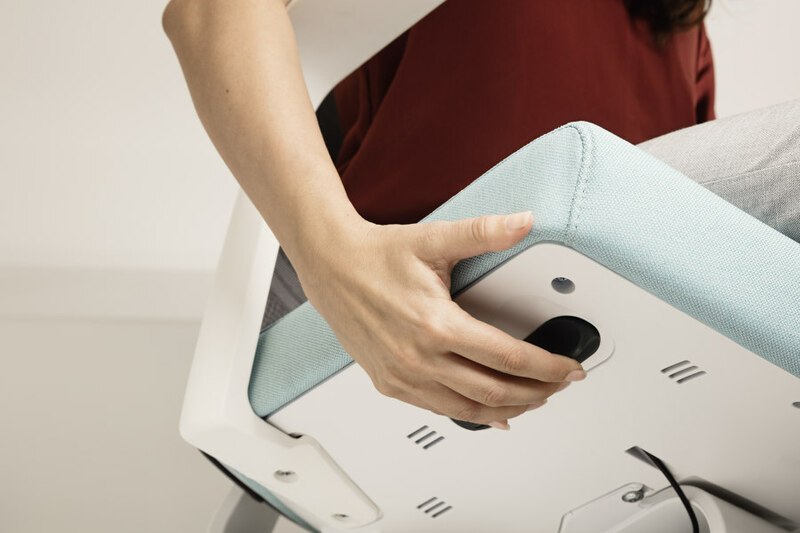 The actual seat element, the ‘Smart Seat’, follows forward movement to up to 12 degrees. These are values that the user doesn’t need to know – but can feel! 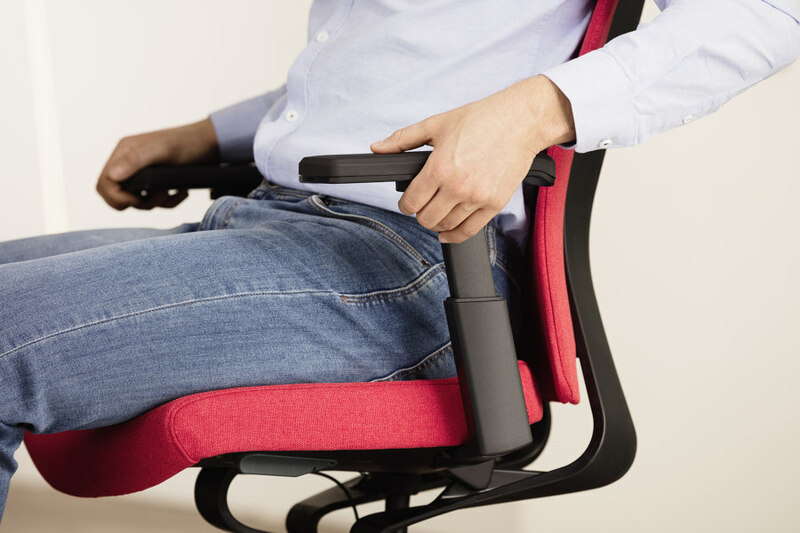 And as if that weren’t enough, Interstuhl joined fitness tracker manufacturer Garmin in developing the Active Sitting application S 4.0, which provides feedback on one’s personal sitting behaviour. 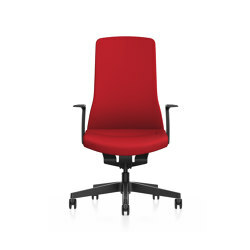 Its comprehensive concept makes PUREis3 the all-rounder for modern office interiors. 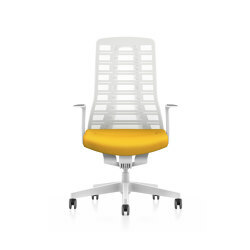 Thanks to its easy handling, it is at home in many different areas of use and is an ideal choice when it comes to furnishing flexible office spaces.